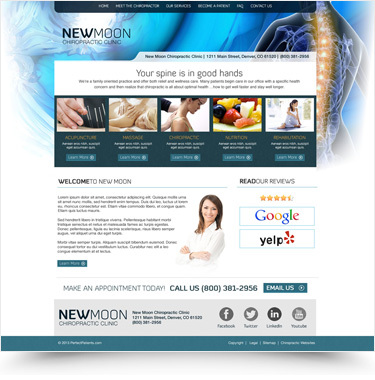 Give Your Website a Total Makeover for $195 and Save 30%. 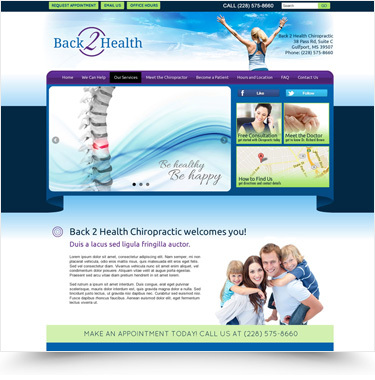 pulling power of your website. 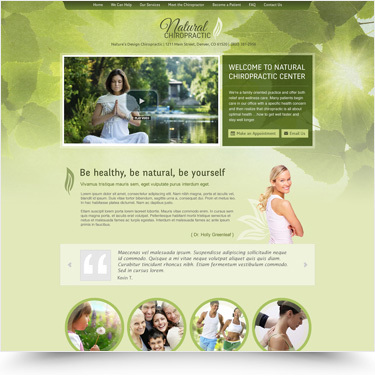 Choose your design and click here. 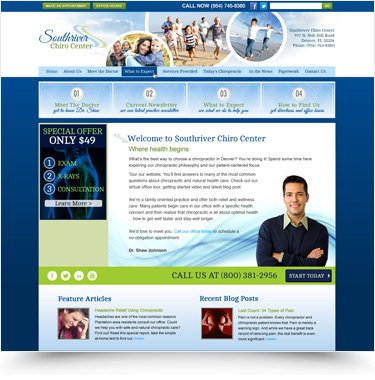 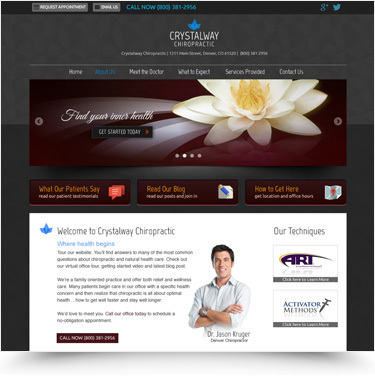 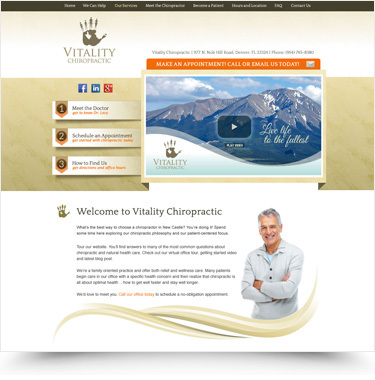 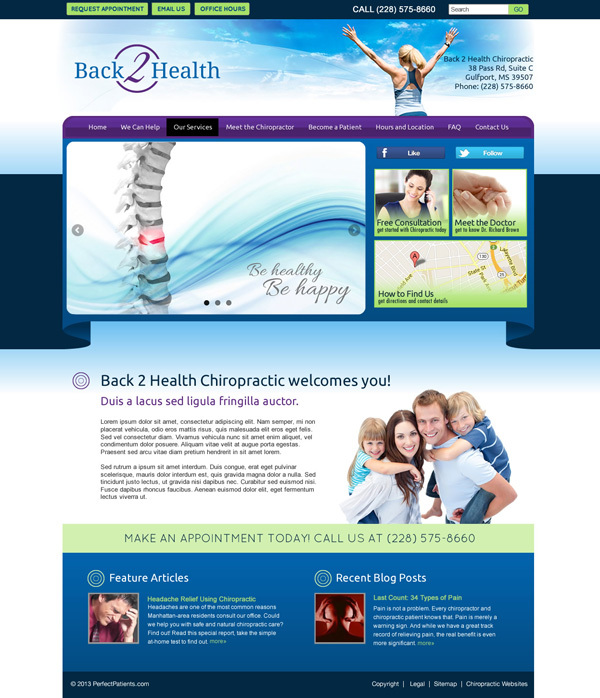 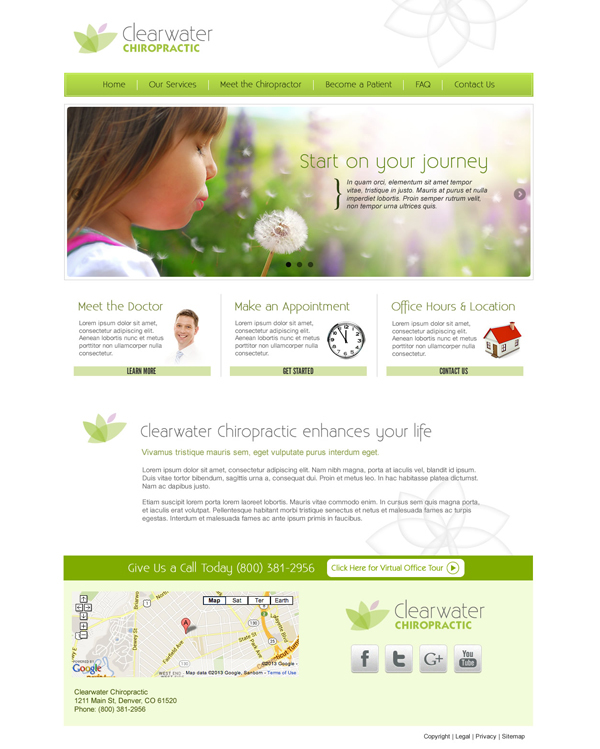 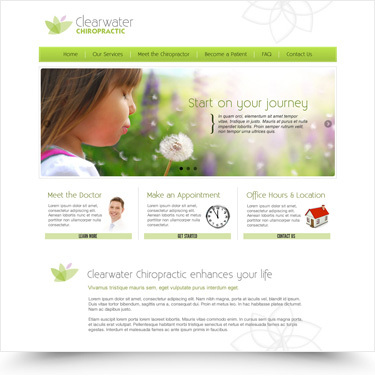 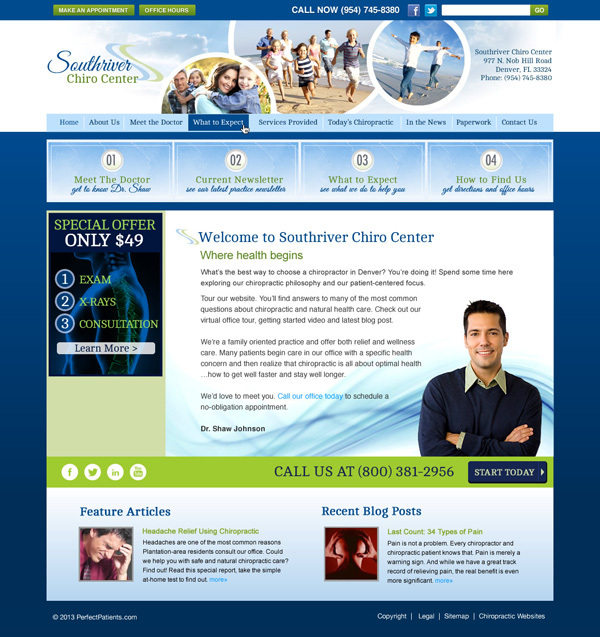 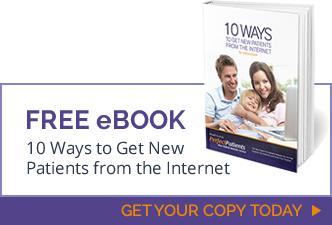 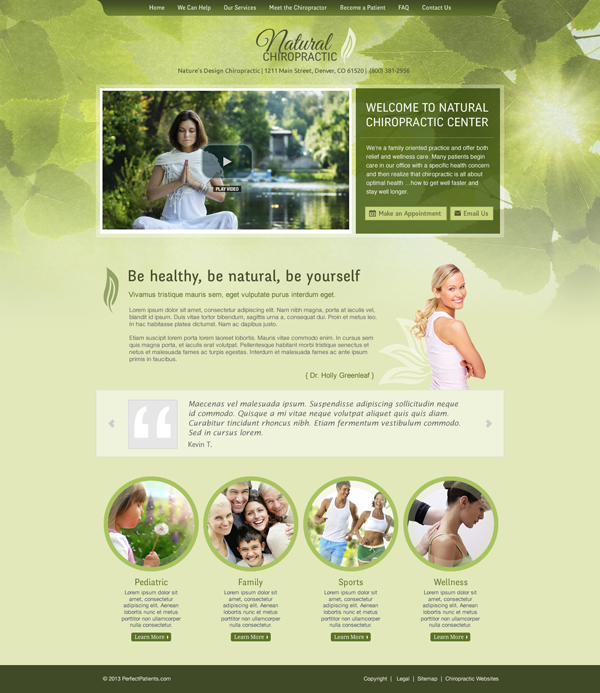 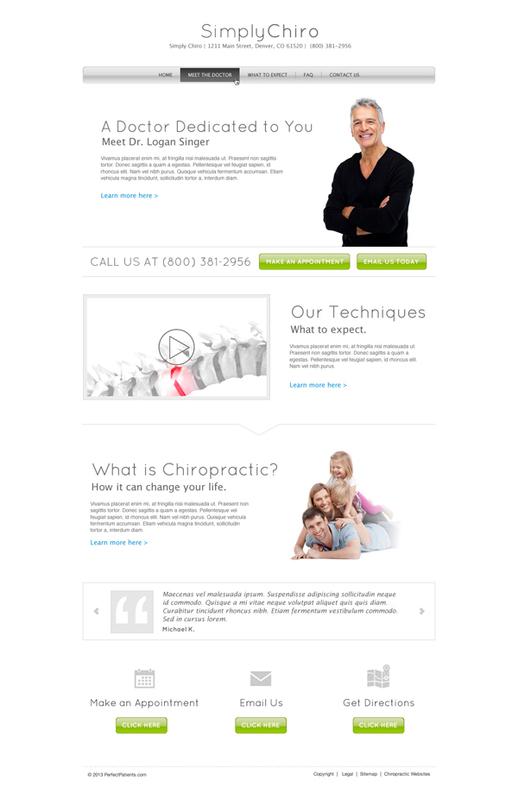 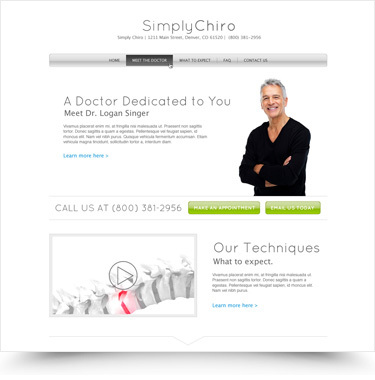 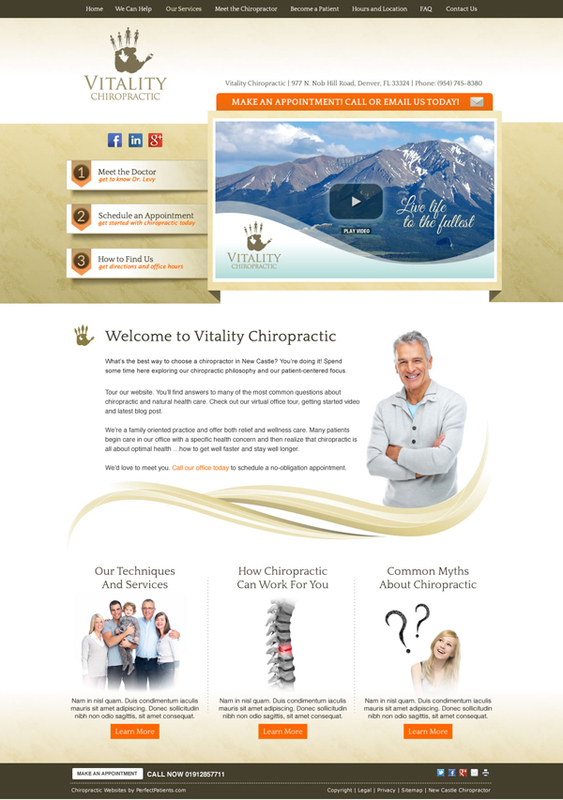 Give Your Perfect Patients Website a Refresh Today! 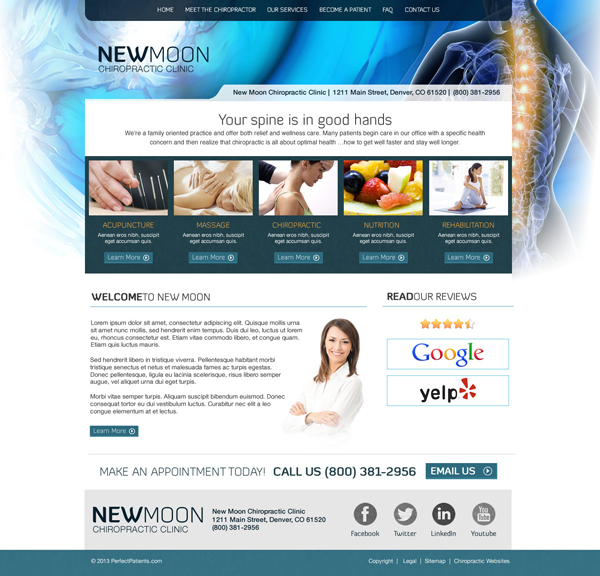 Inspect each new design above. 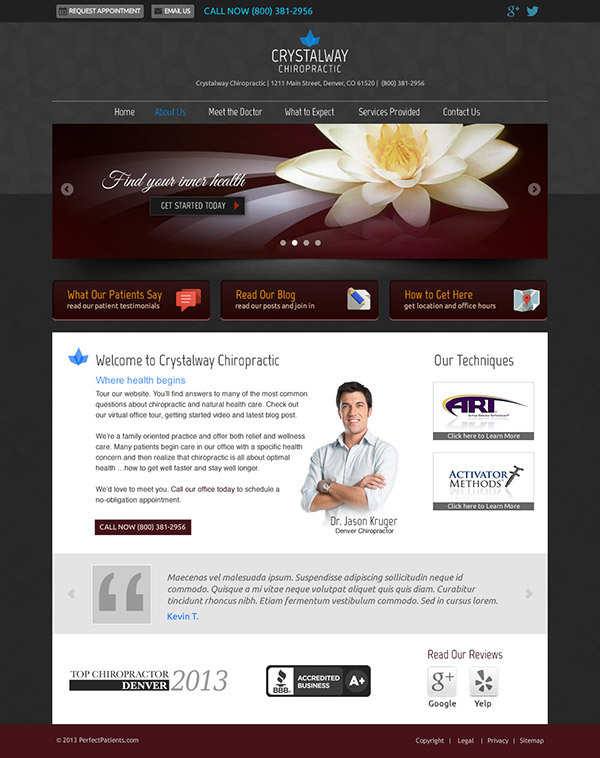 Note the name of your favorite.